It is our duty to live our lives in such a way that we may be examples of righteousness. 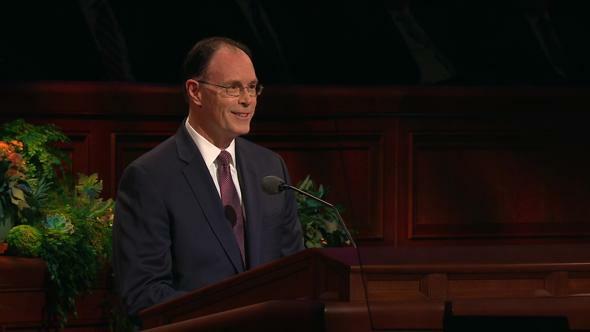 Tonight I am aware that you, my brethren, both here in the Conference Center and in thousands of other locations, represent the largest gathering of the priesthood ever to assemble. We are a part of the greatest brotherhood in all the world. How fortunate and blessed we are to be holders of the priesthood of God. We have been instructed and uplifted as we have listened to inspired messages. I pray that I might have an interest in your faith and prayers as I share with you those thoughts and feelings that have been in my mind lately as I have prepared to address you. As bearers of the priesthood, we have been placed on earth in troubled times. We live in a complex world with currents of conflict everywhere to be found. Political machinations ruin the stability of nations, despots grasp for power, and segments of society seem forever downtrodden, deprived of opportunity, and left with a feeling of failure. We who have been ordained to the priesthood of God can make a difference. When we qualify for the help of the Lord, we can build boys, we can mend men, we can accomplish miracles in His holy service. Our opportunities are without limit. Ours is the task to be fitting examples. We are strengthened by the truth that the greatest force in the world today is the power of God as it works through man. If we are on the Lord’s errand, brethren, we are entitled to the Lord’s help. Never forget that truth. That divine help, of course, is predicated upon our worthiness. Each must ask: Are my hands clean? Is my heart pure? Am I a worthy servant of the Lord? We are surrounded by so much that is designed to divert our attention from those things which are virtuous and good and to tempt us with that which would cause us to be unworthy to exercise the priesthood we bear. I speak not just to the young men of the Aaronic Priesthood but to those of all ages. Temptations come in various forms throughout our lives. Brethren, are we qualified at all times to perform the sacred duties associated with the priesthood we bear? Young men—you who are priests—are you clean in body and spirit as you sit at the sacrament table on Sunday and bless the emblems of the sacrament? Young men who are teachers, are you worthy to prepare the sacrament? Deacons, as you pass the sacrament to the members of the Church, do you do so knowing that you are spiritually qualified to do so? Does each of you fully understand the importance of all the sacred duties you perform? My young friends, be strong. The philosophies of men surround us. The face of sin today often wears the mask of tolerance. Do not be deceived; behind that facade is heartache, unhappiness, and pain. You know what is right and what is wrong, and no disguise, however appealing, can change that. The character of transgression remains the same. If your so-called friends urge you to do anything you know to be wrong, you be the one to make a stand for right, even if you stand alone. Have the moral courage to be a light for others to follow. There is no friendship more valuable than your own clear conscience, your own moral cleanliness—and what a glorious feeling it is to know that you stand in your appointed place clean and with the confidence that you are worthy to do so. Brethren of the Melchizedek Priesthood, do you strive diligently each day to live as you should? Are you kind and loving to your wife and your children? Are you honest in your dealings with those around you—at all times and in all circumstances? If any of you has slipped along the way, there are those who will help you to once again become clean and worthy. Your bishop or branch president is anxious and willing to help and will, with understanding and compassion, do all within his power to assist you in the repentance process, that you may once again stand in righteousness before the Lord. My brethren, I reiterate that, as holders of the priesthood of God, it is our duty to live our lives in such a way that we may be examples of righteousness for others to follow. As I have pondered how we might best provide such examples, I have thought of an experience I had some years ago while attending a stake conference. 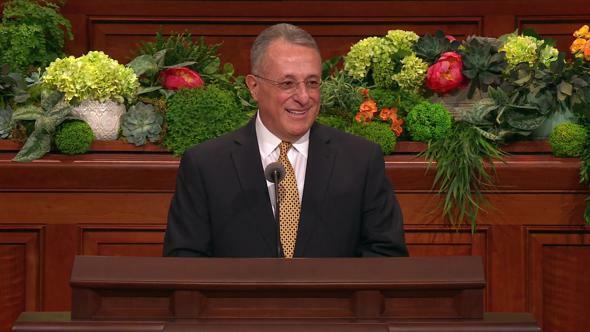 During the general session, I observed a young boy sitting with his family on the front row of the stake center. I was seated on the stand. As the meeting progressed, I began to notice that if I crossed one leg over the other, the young boy would do the same thing. If I reversed the motion and crossed the other leg, he would follow suit. I would put my hands in my lap, and he would do the same. I rested my chin in my hand, and he also did so. Whatever I did, he would imitate my actions. This continued until the time approached for me to address the congregation. I decided to put him to the test. I looked squarely at him, certain I had his attention, and then I wiggled my ears. He made a vain attempt to do the same, but I had him! He just couldn’t quite get his ears to wiggle. He turned to his father, who was sitting next to him, and whispered something to him. He pointed to his ears and then to me. As his father looked in my direction, obviously to see my ears wiggle, I sat solemnly with my arms folded, not moving a muscle. The father glanced back skeptically at his son, who looked slightly defeated. He finally gave me a sheepish grin and shrugged his shoulders. To you who are fathers of boys or who are leaders of boys, I say, strive to be the kind of example the boys need. The father, of course, should be the prime example, and the boy who is blessed with a worthy father is fortunate indeed. Even an exemplary family, however, with diligent and faithful father and mother, can use all the supportive help they can get from good men who genuinely care. There is also the boy who has no father or whose father is not currently providing the type of example needed. For that boy, the Lord has provided a network of helpers within the Church—bishops, advisers, teachers, Scoutmasters, home teachers. 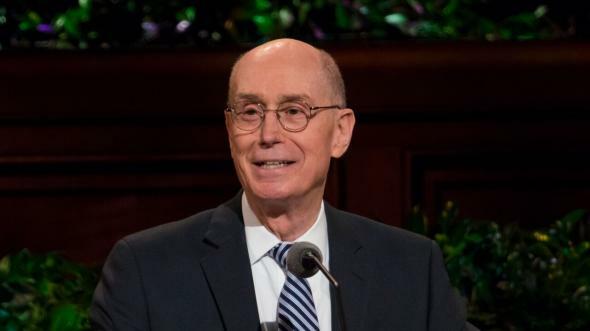 When the Lord’s program is in effect and properly working, no young man in the Church should be without the influence of good men in his life. The effectiveness of an inspired bishop, adviser, or teacher has very little to do with the outward trappings of power or an abundance of this world’s goods. The leaders who have the most influence are usually those who set hearts afire with devotion to the truth, who make obedience to duty seem the essence of manhood, who transform some ordinary routine occurrence so that it becomes a vista where we see the person we aspire to be. Baptized of John in the river known as Jordan, He commenced His official ministry to men. To the sophistry of Satan, Jesus turned His back. To the duty designated by His Father, He turned His face, pledged His heart, and gave His life. And what a sinless, selfless, noble, and divine life it was. Jesus labored. Jesus loved. Jesus served. Jesus testified. What finer example could we strive to emulate? Let us begin now, this very night, to do so. Cast off forever will be the old self and with it defeat, despair, doubt, and disbelief. To a newness of life we come—a life of faith, hope, courage, and joy. No task looms too large; no responsibility weighs too heavily; no duty is a burden. All things become possible. 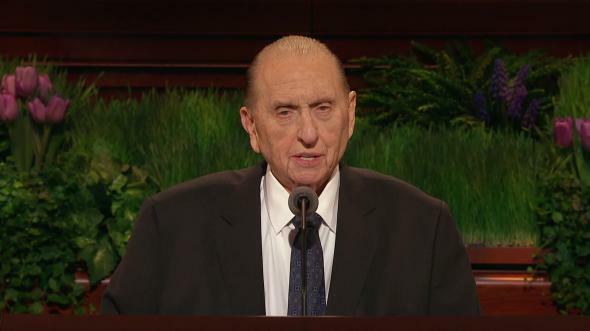 Many years ago I spoke of one who took his example from the Savior, one who stood firm and true, strong and worthy through the storms of life. 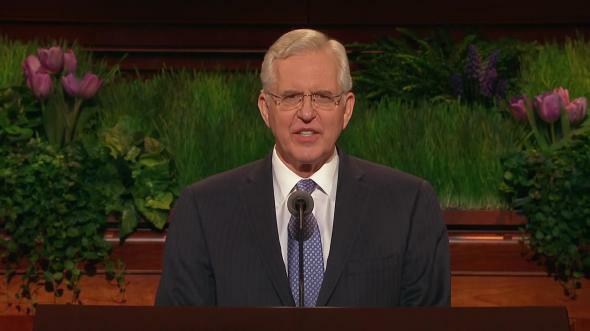 He courageously magnified his priesthood callings. He provides an example to each of us. His name was Thomas Michael Wilson, the son of Willie and Julia Wilson of Lafayette, Alabama. When he was but a teenager and he and his family were not yet members of the Church, he was stricken with cancer, followed by painful radiation therapy, and then blessed remission. This illness caused his family to realize that not only is life precious but that it can also be short. They began to look to religion to help them through this time of tribulation. Subsequently, they were introduced to the Church, and eventually all but the father were baptized. 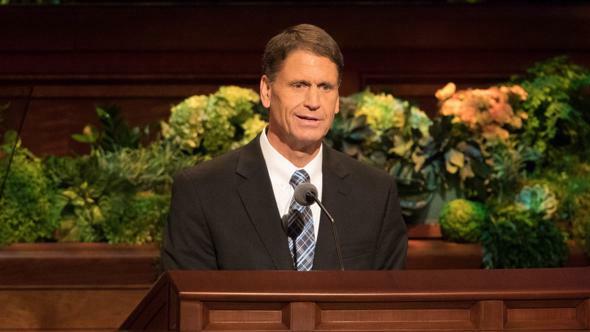 After accepting the gospel, young Brother Wilson yearned for the opportunity of being a missionary, even though he was older than most young men when they begin their missionary service. At the age of 23, he received a mission call to serve in the Utah Salt Lake City Mission. 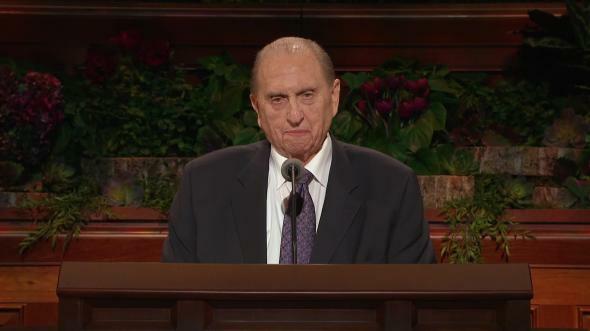 Elder Wilson’s missionary companions described his faith as unquestioning, undeviating, and unyielding. He was an example to all. However, after 11 months of missionary service, illness returned. Bone cancer now required the amputation of his arm and shoulder. Yet he persisted in his missionary labors. 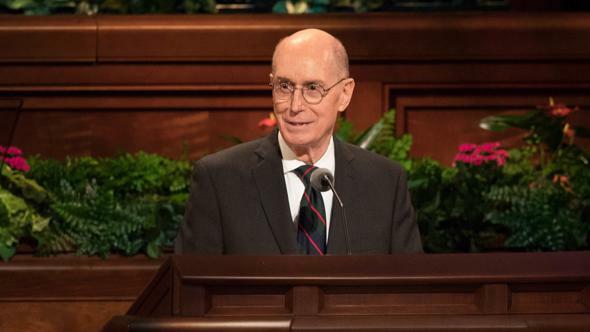 Elder Wilson’s courage and consuming desire to remain on his mission so touched his nonmember father that he investigated the teachings of the Church and also became a member. 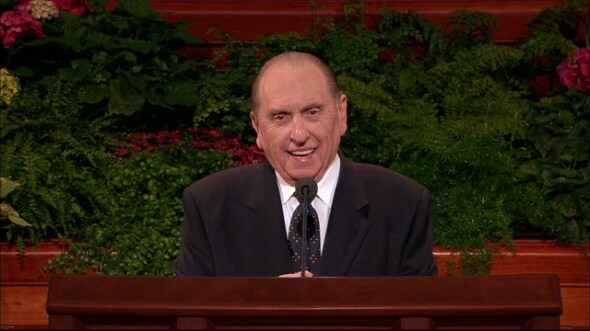 I learned that an investigator whom Elder Wilson had taught was baptized but then wanted to be confirmed by Elder Wilson, whom she respected so much. She, with a few others, journeyed to Elder Wilson’s bedside in the hospital. There, with his remaining hand resting upon her head, Elder Wilson confirmed her a member of The Church of Jesus Christ of Latter-day Saints. 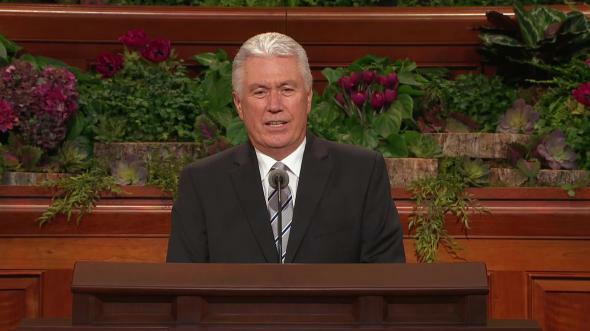 Elder Wilson continued month after month his precious but painful service as a missionary. Blessings were given; prayers were offered. Because of his example of dedication, his fellow missionaries lived closer to God. 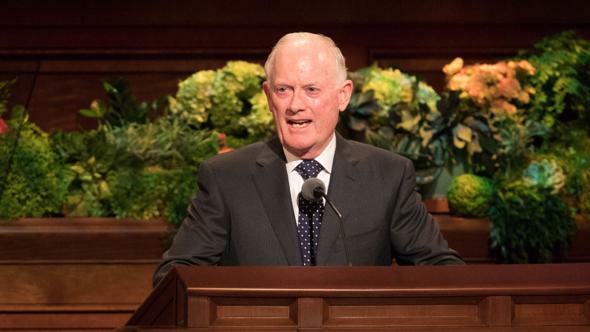 Elder Wilson’s physical condition deteriorated. The end drew near, and he was to return home. He asked to serve but one additional month, and his request was granted. He put his faith in God, and He whom Thomas Michael Wilson silently trusted opened the windows of heaven and abundantly blessed him. His parents, Willie and Julia Wilson, and his brother Tony came to Salt Lake City to help their son and brother home to Alabama. However, there was yet a prayed-for, a yearned-for blessing to be bestowed. The family invited me to come with them to the Jordan River temple, where those sacred ordinances which bind families for eternity, as well as for time, were performed. I said good-bye to the Wilson family. 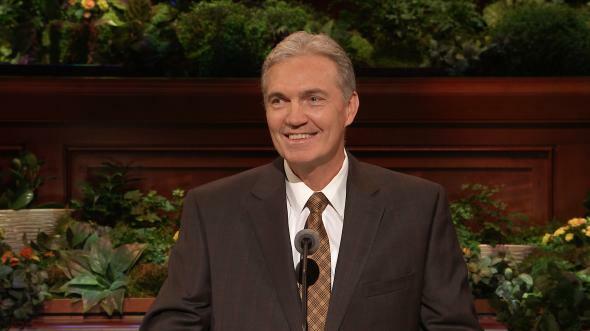 I can see Elder Wilson yet as he thanked me for being with him and his loved ones. He said, “It doesn’t matter what happens to us in this life as long as we have the gospel of Jesus Christ and live it. It doesn’t matter whether I teach the gospel on this or the other side of the veil, so long as I can teach it.” What courage. What confidence. What love. The Wilson family made the long trek home to Lafayette, where Elder Thomas Michael Wilson slipped from here to eternity. He was buried there with his missionary tag in place. 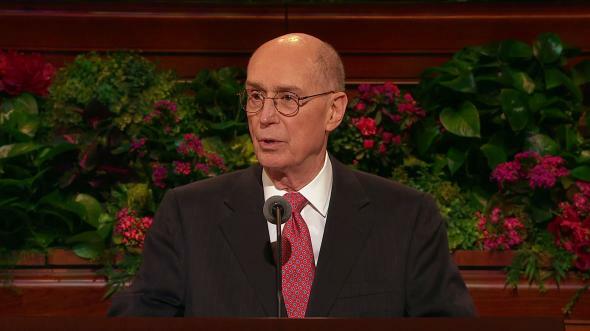 My brethren, as we now leave this general priesthood meeting, let us all determine to prepare for our time of opportunity and to honor the priesthood we bear through the service we render, the lives we bless, and the souls we are privileged to help save. You “are a chosen generation, a royal priesthood, an holy nation,”4 and you can make a difference. To these truths I testify in the name of Jesus Christ, our Savior, amen. “For They Loved the Praise of Men More Than the Praise of God,” Ensign, Nov. 1975, 74. Deseret News, June 21, 1871, 235.